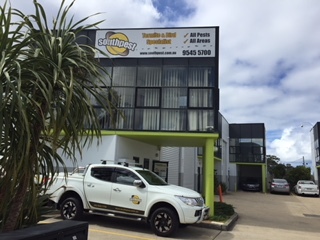 Southpest is 100% family owned, australian company, expanded from an original business formed in 1958 to provide residential pest management, to the Sutherland Shire and St George areas. In 1983 the manager at that time took ownership and expanded to encompass the Sydney metropolitan areas, specialising in domestic pest management, particularly termite detection and control. The business is still owned within the same family, and undertook major changes and expansion in 1995. At the time training and development was undertaken to provide management services to the food service industry, strata, property management and commercial institutions. In 2005 we outgrew our offices in Miranda Road and relocated to the Auto Plaza in Waratah Street, Kirrawee and followed with a move again in 2013 as we required factory premises due to expansion. We are now located in Bath Road, Kirrawee. We offer general pest treatments for Cockroaches, Spiders, Ants, Fleas, Bees, Wasps, Silverfish, Rodents, Possums, Bed Bugs & Bird Lice. We perform prior to purchase & vendor timber pest inspections, termite inspections and termite treatments including Exterra Termite Baiting System, HomeGuard & Chemical Barriers. We also specialise in Bird Deterrent Systems from domestic to large commercial buildings. We can also assist in increasing your subfloor ventilation, using either mechanical or manual ventilation. When choosing a pest control company for your needs you must make sure they are fully trained, insured and licensed. When you engage SOUTHPEST, you can be assured of this and WE MAKE YOUR PROBLEM, OUR PROBLEM, AND THEN MAKE IT DISAPPEAR.